Eddy A. Sumar, MBA, CCE, CICE, and CEW, is the Founder of ER$ Consulting Services in Rancho Cucamonga, Calif. He is an International Trade Financing Consultant; a Consultant for the Center for International Trade Development (CITD); a member of the Guidepoint Global Advisors, and an Associate of Quote 2 Cash (Q2C). Mr. Sumar has a Bachelor degree in Business Administration (B.B.A.) from Bethlehem University, Bethlehem, West Bank where he enjoyed a Fulbright scholarship and graduated as Valedictorian. He also obtained his MBA with distinction from Leicester University, Leicester, UK. 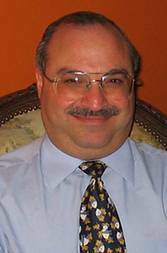 With 24+ years of experience in the credit and collection field, he is a published author with multiple accolades, including the NACM/Robert Half Student of the Year Award in 2000, the Best Article Award in 2003, CCE Designation of Excellence Award in 2004, 2006 CMA Credit Executive of the Year Award, the CCR Credit Excellence Awards 2011 in International Credit Management, and 2012 CMA Instructor of the Year Award.